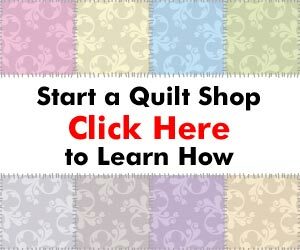 On this page, you'll find all of the great free tools that are part of the Rollercoaster Quilting promotion. What a great teleseminar! Tim and Mary Stenros of Willow Bend Creations shared some of their secrets of going from zero to over $25,000 in sales of their unique quilting patterns. In fact, they are poised to have their first month of over $10,000 in sales this month! In this teleseminar, I focused on how they use their online store, and how they developed wholesale relationships with quilt shops around the country. Tim and Mary are located in Alaska, so their local market is fairly small. In order to succeed, they needed the power of the Internet AND the ability to forge relationships from a long distance. On that page, Tim and Mary have set up some great specials for this list. First off, you can sign up for their email list and get two free patterns. In addition, Tim and Mary have also created three new patterns – with complementary throw pillow patterns – that haven't been released to the general public, but they are giving you a very special offer – $25 for three new patterns AND the matching accent pillow patterns. I created this short audio tutorial to talk about how you can find out which crafts are selling in your market, and how you can help price your crafts to sell. To listen to the audio, hit the Play button (looks like a triangle on its side). To download the file, hit the “Download” link. This guide shows you how to use your local media – newspapers, television, radio – to carry your message to potential customers. This spreadsheet is a little tool to help you get a feel for how much a new quilting business will cost. In this two-part video tutorial (a total of about 24 minutes), I take you through the process of how to create your own free blogger-based web site for your quilting business. A free blogger blog is a great way to get your business on the web, but it's only a start. PLEASE NOTE: I created this video for my Craft Business Guide. It's about a year old, and mentions beta.blogger.com. Now, the functionality that is mentioned is part of the regular blogger service at www.blogger.com. So, you can reach the site by going directly there. Want to get set up to sell on eBay, but don't know how? Here's a Special Report I created to help you through the basics of signing up for eBay, writing a listing, getting paid, and shipping. As the week goes on, I'll be adding more resources to this page.